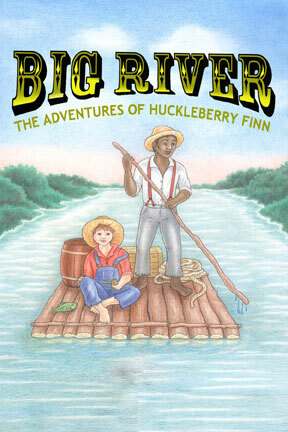 The Heights Players are opening their production of Big River, a musical based on Mark Twain’s The Adventures of Huckleberry Finn, with a score by Roger Miller and book by William Hauptman. Shows will be at 8:00 p.m. Friday and Saturday, and 2:00 p.m. on Sunday, at the Playhouse at 26 Willow Place. There’s more information here and you can make reservations here. Bargemusic has a full schedule of concerts this weekend. Friday evening at 7:00 composer, pianist, and therminist Rob Schwimmer will present “Triple Helix” on piano, theremin, and continuum. There will be two “Masterworks” concerts; one on Saturday evening at 7:00 and the other on Sunday afternoon at 2:00, both featuring works by Beethoven performed by Bargemusic’s artistic director Mark Peskanov on violin and Nina Kogan on piano. On Saturday afternoon at 3:00 there will be a free, family oriented “Music in Motion” concert, program and musicians TBA. The doors open at 2:30; it’s first come, first seated. More information and buy tickets here. The Brooklyn Heights Cinema will be showing 12 Years a Slave, director Steve McQueen’s drama about a free African American New Yorker kidnapped and sold into slavery, starring Chiwetel Ejiofor and Michael Fassbender, and with a cast including Heights resident Paul Giamatti. The Cinema is also showing Robert Redford’s All Is Lost, in which he portrays a solo ocean sailor’s fight for survival after his boat is almost destroyed by a drifting freight container. Showtimes are here. On Saturday afternoon from 3:00 to 6:00 the Brooklyn Historical Society will present “What’s Purity Got To Do with It? Searching Family History and Genealogy,” a discussion of genealogical research based on Joe Mozinga’s book The Fiddler on Pantico Run, led by anthropologist and oral historian Jennifer Scott. You’re encouraged to “[b]ring your own family tree, genealogical research, family photos or family name origins.” Admission is $20; buy tickets here. Don’t forget Theater 2020’s A Merry Joyful Noise on Saturday afternoon at St. Charles Borromeo Church.